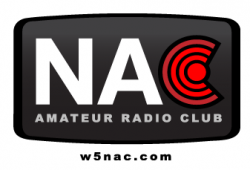 The Mission of the Nacogdoches Amateur Radio Club is to support and promote Amateur Radio by public service, offering training to unlicensed interested parties and licensed amateurs, mutual support of other amateurs, engaging events that promote amateur radio to the general public and other amateur radio operators, and continuing fellowship by regularly scheduled organized meetings and events. Some of the documents available on this website are PDF documents. If you need to download a PDF Reader, please download here.